Hope you are excited for Mackinac. You’ve practiced hard. Now is the opportunity to shine as a Governor’s Honor Guard. 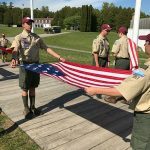 You can find a lot of information in the 2017 MISSC Manual that is posted at upscouting.org/mackinac-island. It would be good to look at it before you get ready to leave. Here are some things that you need to know. FOOTLOCKERS: Everything you bring must fit in the lockers. Please have your name on the locker. You may decorate the footlocker any way you like. If you use a lock, you are responsible for the key or combination. At the barracks, the footlocker will be on the floor at night. During the day, the footlocker must be placed on your bunk. Scouts near Escanaba are asked to bring their footlockers for shipment to the island the Wednesday before we leave. WEDNESDAY, MAY 31: Drop off footlockers from 6-8 p.m. at C&C Sales, 2700 1st Ave North, Escanaba (next to Shop-KO). This is only for Scouts who live near Escanaba. 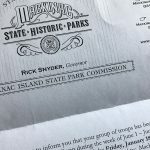 DO NOT PACK: You will need to wear a complete Scout uniform the day we go to Mackinac Island. Uniform of the day is: long pants, Scout web belt, Scout crew socks, short sleeve Scout shirt, (with MISSC patches sewn on), MISSC jacket, MISSC bolo & your official MISSC Troop hat, black or brown shoes. You will receive the bolo, hat and name tag before boarding the ferry. Only one carry-on bag will be allowed on Saturday for your lunch and misc items such as toiletries, poncho, etc. SATURDAY, JUNE 3: We will be taking a bus to St. Ignace. Pick ups are: 8 a.m. Eastern Time at Immanuel Lutheran in Escanaba 8:20 a.m. at Rapid River Mini Mart at the corner of U.S. 2 and U.S. 41 in Rapid River 9:15 a.m. at the Shell Station with Arby’s in Manistique. Be early! The bus leaves at those times. 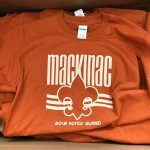 Scouts not riding the bus are to meet us at the Star Line in St. Ignace at 11 a.m. We will be taking the 12 p.m. ferry to Mackinac Island. Bring a lunch to eat before we get to the island. 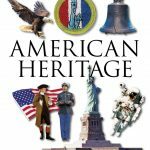 MEMORIAL DAY: I do have a favor to ask Scouts who live near Escanaba and not already involved in Memorial Day activities. We need Scouts to help at the Delta County Veterans Council event at Gardens of Rest. It is a pretty big program. You will hand out programs, present the flag to the Marine Corps League and help with chairs at the end. It starts at 11 a.m. Please be there by 10:30. Thanks. For those needing to turn in their physicals or pay your registration, please do so. We will return Saturday, June 10. Approximate times are 2:30 pm Manistique, 3:15 pm Rapid River and 3:30 pm Escanaba. Looking forward to our trip on Saturday.